It took 27 seasons, but the town of Springfield (state unknown) has finally gotten the anthem it deserves. 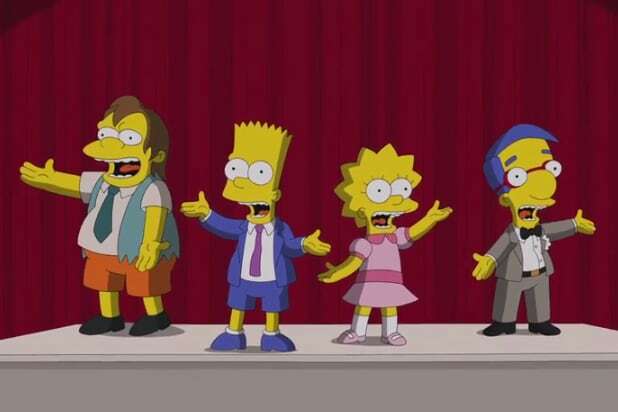 On Sunday’s “The Simpsons” — which features “The Voice” star Pharrell Williams — Bart, Lisa and friends debut the town’s new theme song, “Why Springfield, Why Not?” with the title doubling as the chorus. The tune is catchy, though lyrics like “We’ve only had a hurricane once/We haven’t had a circus fire in months” might not do a heck of a lot to grow the area’s census numbers. And then there’s this: “Sure, our cops are easily bought/and our dentists are all self-taught,” which isn’t gonna headline a tourism brochure either. The kids further boast that their city has been “small pox-free for seven years.” Perhaps the tune will finally get hashtag #SpringfieldPride trending for the first time ever — another element of the tune. Though probably not.